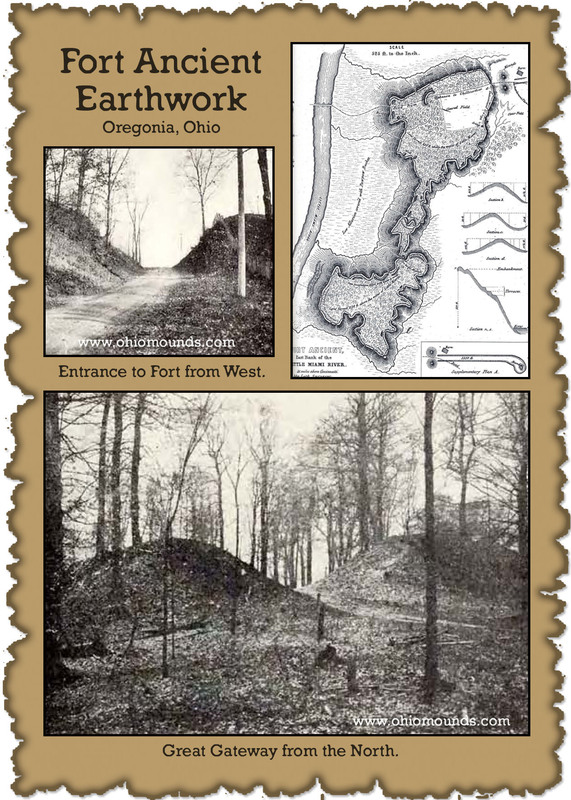 Fort Ancient is a group of earthworks located near the Little Miami River, just outside of Lebanon Ohio (Warren County). These ancient earthworks were built by the Hopewell people who resided in the Ohio Valley during the 1st century BC to approximately the 6th century AD. These earthworks are located in a 100 acre area and consist of approximately 18,000 feet (3.5 miles) of walls. Fort Ancient is currently maintained as a historic park and museum and was registered as a National Historic Landmark through the National Park Service in 1966. For park information on Fort Ancient, please visit www.fortancient.org.